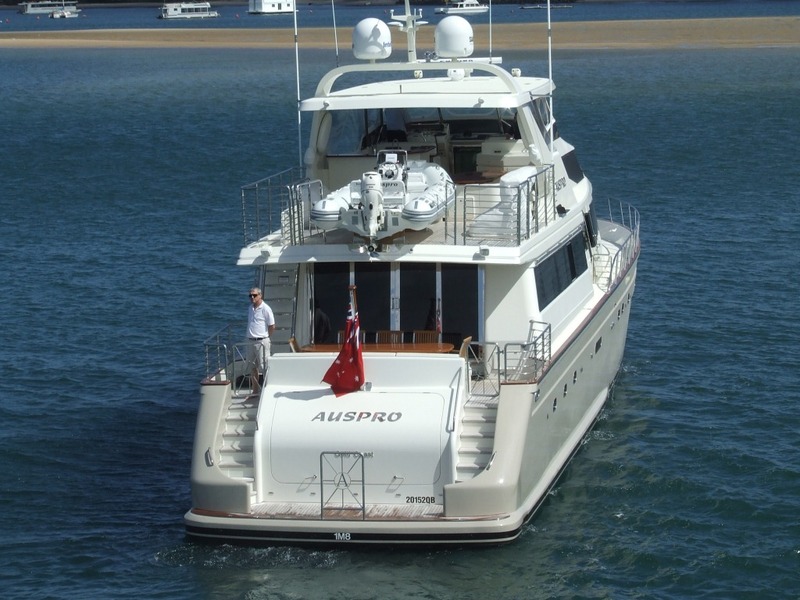 Whitsundays luxury motor yacht AUSPRO (ex Aurora) is a fantastic professionally crewed charter yacht with which to explore Australia’s Whitsunday Islands and the incredible Great Barrier Reef. 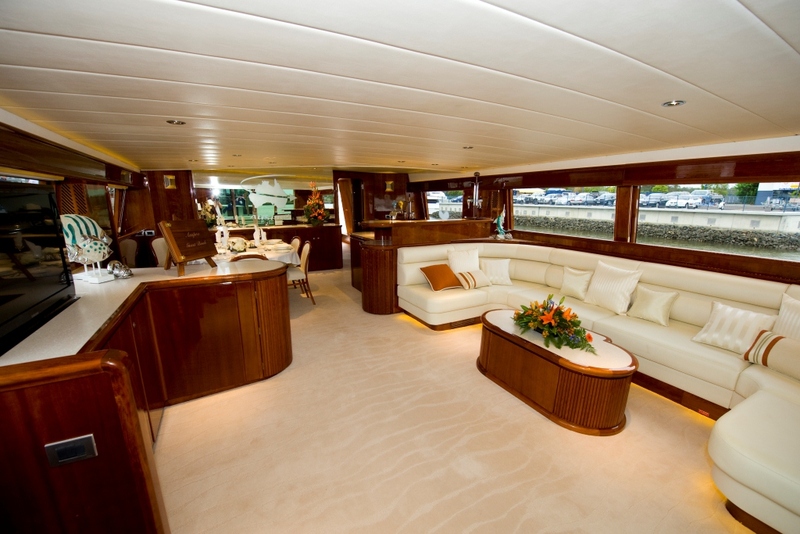 She provides a stylish and elegant main saloon with a quiet ambience is a superb area for relaxation. 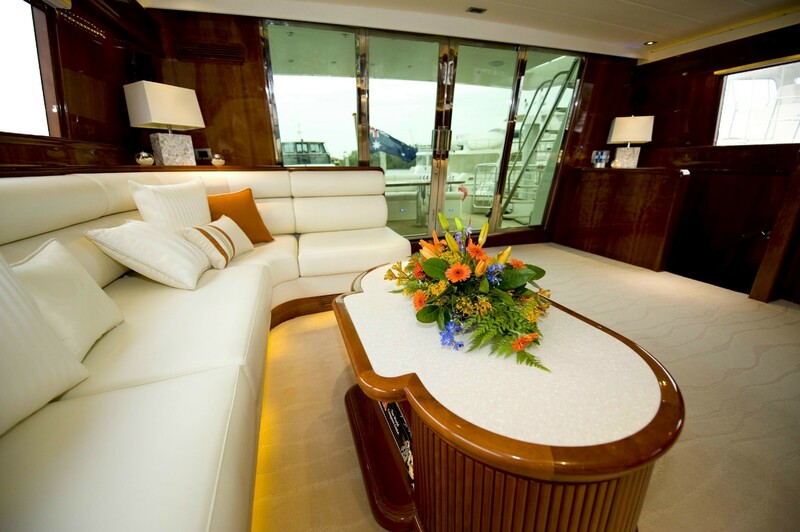 Luxury yacht AUSPRO also offers charter guests an excellent electrical entertainment system such as TV, Stereo and a DVD library. She has a full service bar and friendly crew to serve you welcome refreshments. 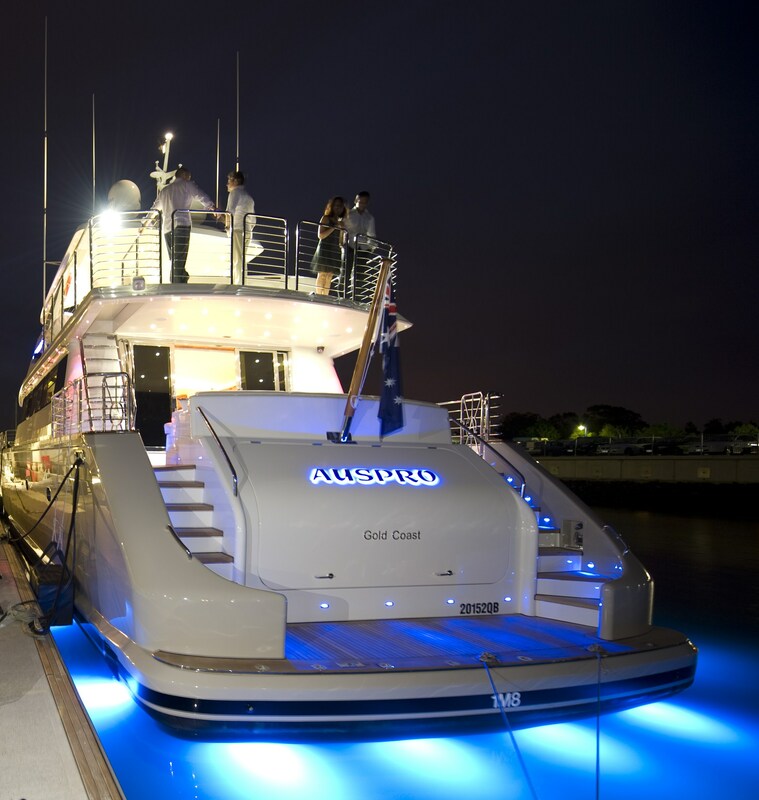 Luxury yacht AUSPRO is fully crewed, including a gourmet chef, who is able to create your own choice of wonderful masterpieces - so that you can not only experience luxury but taste it too. 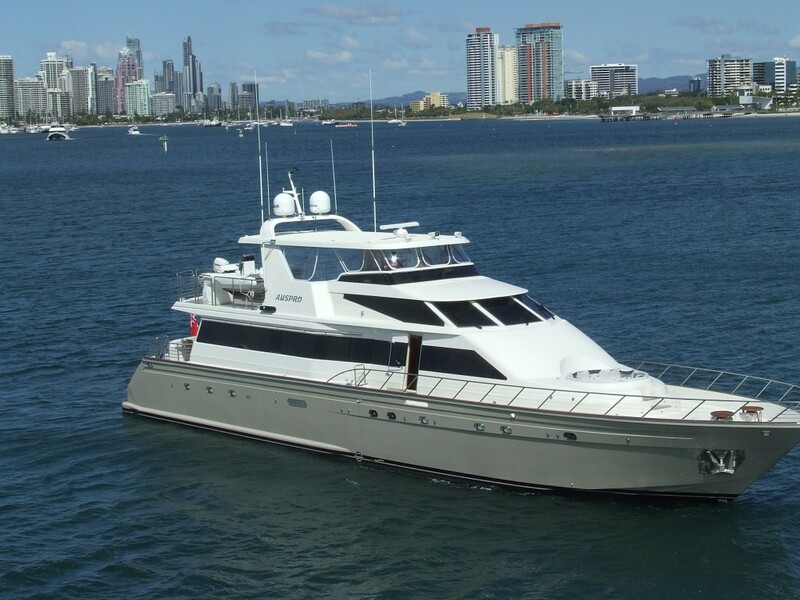 AUSPRO caters superbly for entertainment, boasting three separate full dining areas aboard. 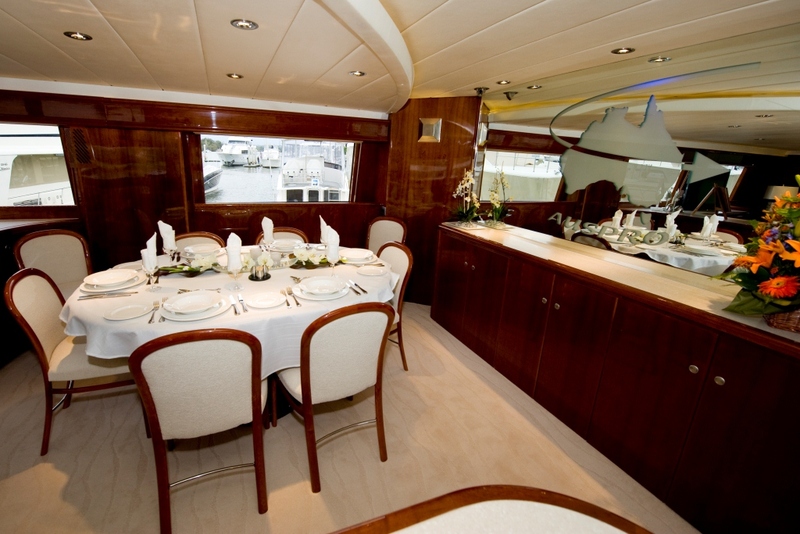 She has an indoor dining area, forward of the main saloon, which is ideal for intimate romantic dinners or large family banquets. Her fly bridge has an alfresco or Aussie barbeque area - or you can even venture ashore with a hamper and host your own private beach barbeque on a beautiful Whitsundays Island beach. 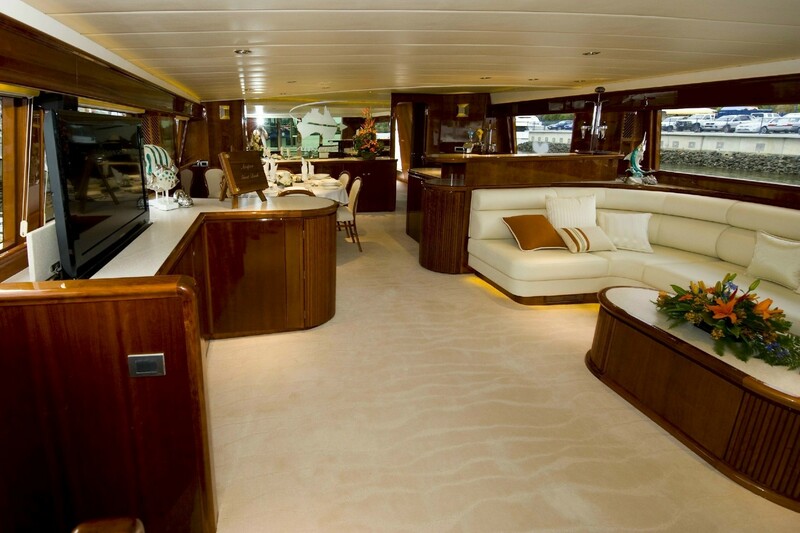 Off course there is also the main aft deck area, just off the main saloon, which produces a great outdoor dining area, and is protected from the sun and elements. 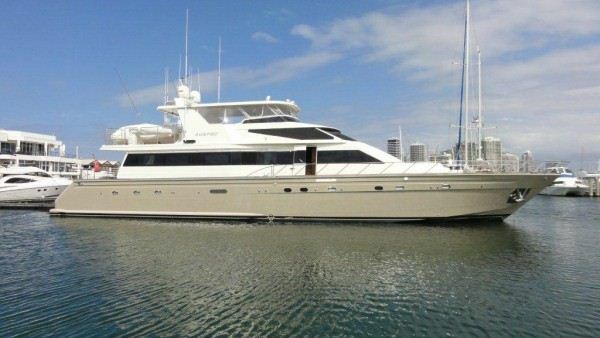 Azimut charter yacht AUSPRO was refitted in 2010 which included the addition of a six-person spa pool spa located on the forward deck. 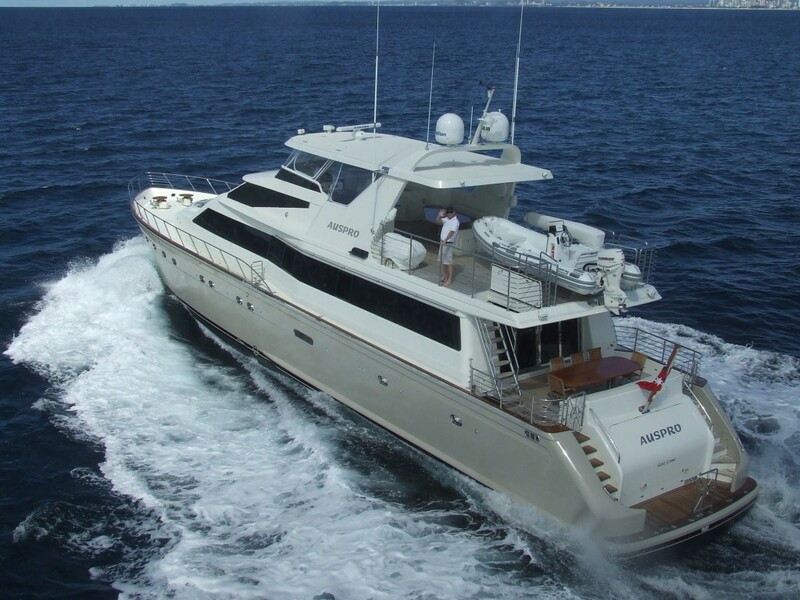 Whitsundays luxury motor yacht AUSPRO accommodates up to 8 charter guests in superb comfort and privacy in 4 cabins. AUSPRO's main master stateroom features a large queen-sized bed plus its own private lounge along with two his/hers bathrooms - one with a Spa Pool bathtub. 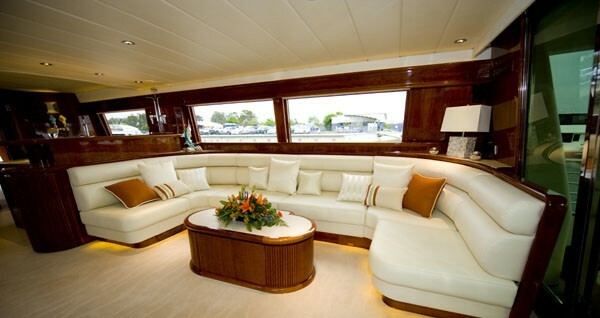 Her further charter guest rooms, located forward, accommodate a further six guests. She offers a large guest bedroom with queen-sized bed, plus two further comfortable cabins - each with two single beds (twins). All of AUSPRO's cabins offer full en-suite bathrooms; they are stylishly appointed and include full air-conditioning (with their own individual controls in each stateroom). 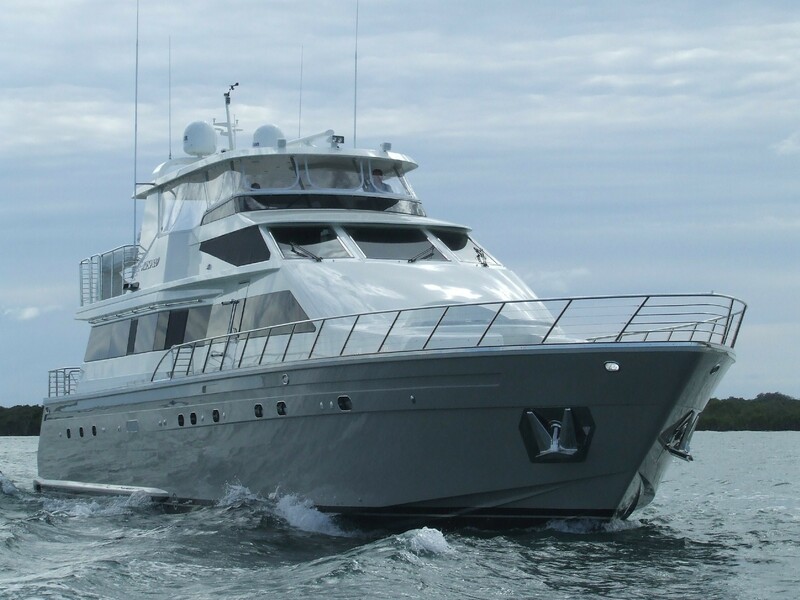 Whitsundays luxury motor yacht AUSPRO (ex Aurora) offers the following charter amenities: State of the art communication equipment including satellite telecommunications system, internet, cellular phone, fax, HF and VHF and Radio telephone. Tenders: a 3m/14' Aquapro dingy and also a 3.6m/12' Zodiac Jet. Water Toys include: a windsurfer, a wave board, tenders as above, water skiis, a bumper tube, a banana board, snorkeling and scuba equipment, a full dive compressor, remote control yachts, and clay shooting.